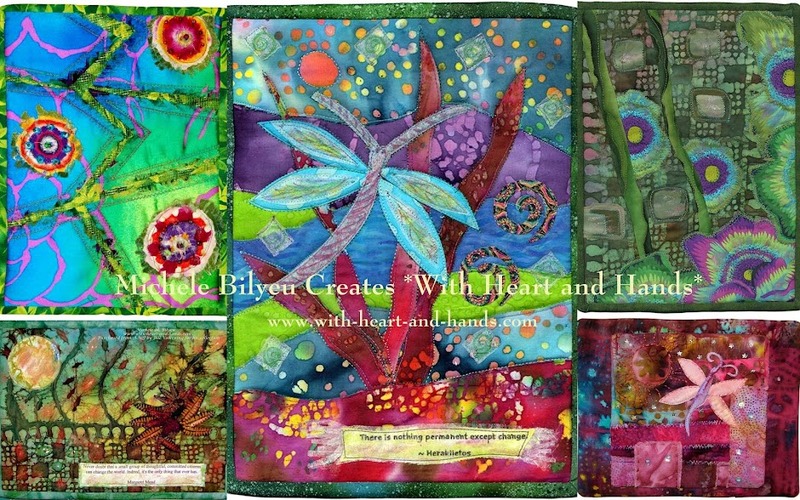 I have just received a letter from a wonderful quilter, Bev Rogan, who is reaching out to our broader quilting community via facebook and blogs for the "Quilting for Calgary" movement. Please do help if you can and thanks so very much to all of you who are already involved in this quilting movement! 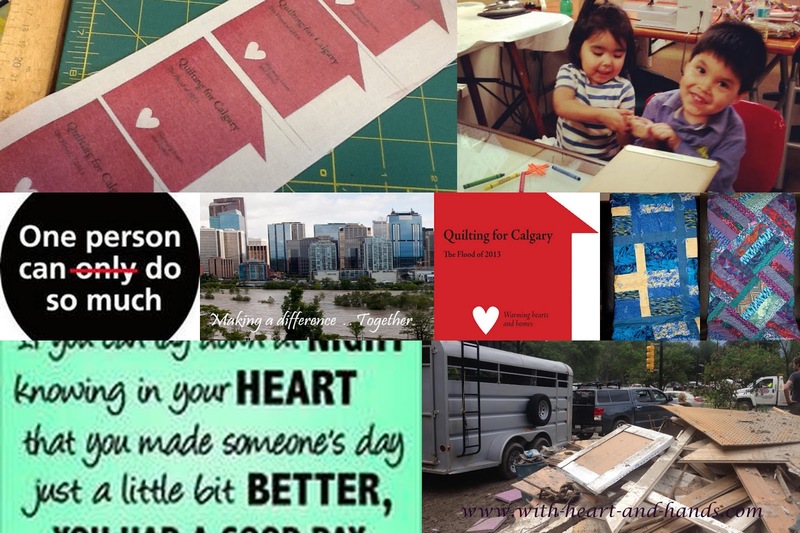 We are a group of caring quilters from throughout North America, dedicated to bringing hope and comfort to the 2013 Flood victims of Southern Alberta. We are hoping you can help. We have attached a poster for your convenience and ask you to share it with as many people as possible. We also invite you and your friends to join us on our Facebook Group at; https://www.facebook.com/groups/quiltingforcalgary/ where you can find additional details of our efforts. Please note we have a US mailing address in Houston for donations from our quilting friends south of the border. These donations will be shipped free of charge to Calgary once they reach Houston. 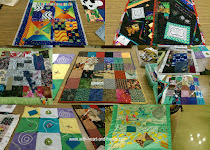 my photo collage was created by using the photos available for using at the Quilting for Calgary facebook site. Thanks for your support and for sharing the US mailing site. I sent one already to somewhere else but if I get another one done soon I will send it to this facebook site for mailing. It really is nice to see so many reach out to those who have experienced such a tragic event. It's unfortunate we've had so many in recent months. Many thanks Michele for helping us by sharing the news of our efforts to help the flood victims. 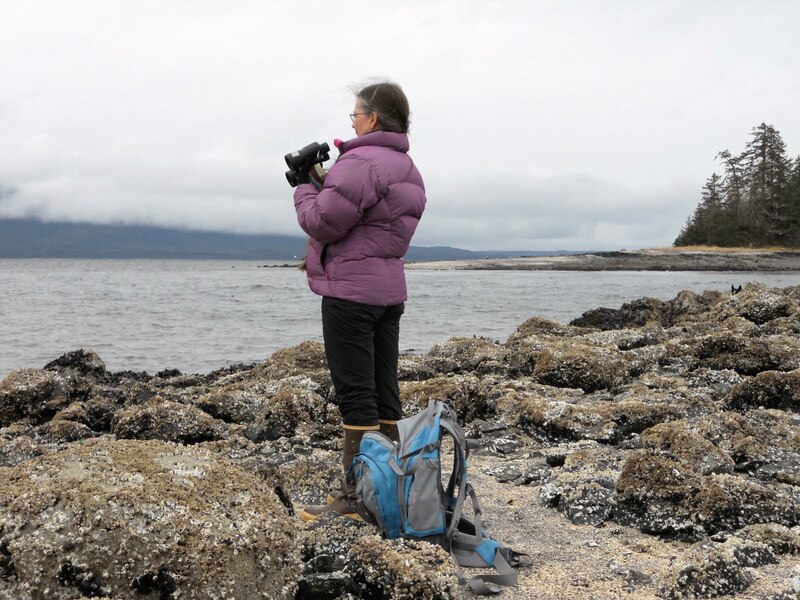 We are now able to offer FREE shipping throughout Canada for our donors as well as offering an additional option to our friends in the USA of sending their donations without incurring any duty,customs or brokerage fees. Donors can still use the Houston Address as well and those donations will be shipped to us from Houston free of charge. I can be reached via emai directly at; bev.rogan@gmail.com with any questions. Huge thanks and gratitude Michele for your support!